It's time to boop-oop-a-doop like Betty Boop can do! 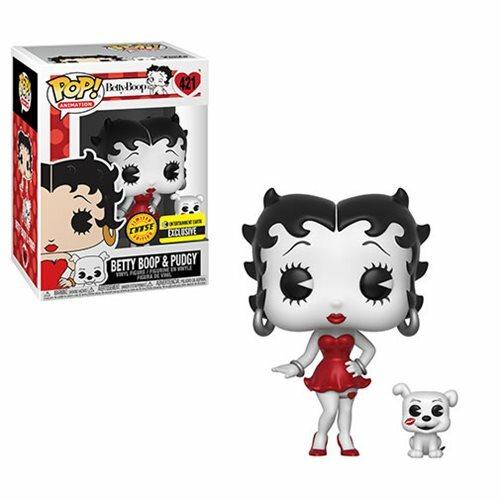 Exclusive Betty Boop Pop! Vinyl figure. She comes with her canine pal Pudgy! Limited red-highlight chase figure to hunt and collect! 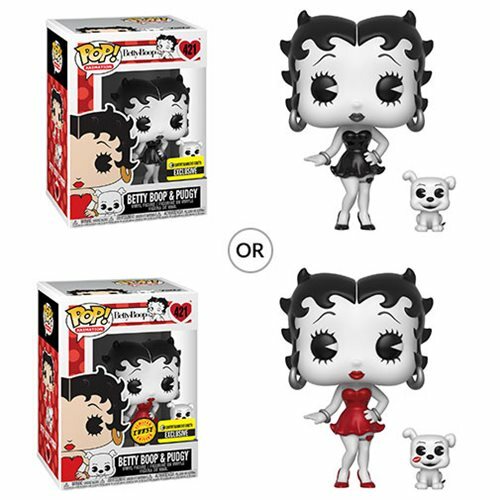 We have a very important question for you: Can you boop-oop-a-doop like Betty Boop can do? Really, can you? Whether you can or not, we have an incredible Entertainment Earth Exclusive just for you! The sassy animated cutie looks right at home as a Pop! Vinyl figure, and she even comes with a Pop! buddy of her canine pal Pudgy. Ms. Boop measures approximately 3 3/4-inches tall, and this Betty Boop Black-and-White Pop! Vinyl Figure and Buddy - Entertainment Earth Exclusive comes packaged in a window display box. Watch for the limited red-highlight chase figure to collect!